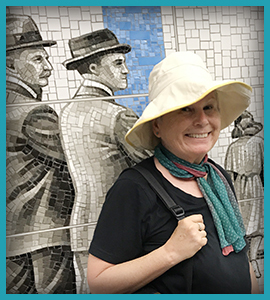 Littleviews is designed and managed by Karen Little, a writer (technical, educational, and content originator), photographer, and artist (drawings, cookies, and fabric crafts). Her articles, books (mainly technical), and creative efforts (websites, illustrations, and more) have been in the public since 1990. In the 1980s, Karen founded and ran a non-profit school, Office Technology Academy, in Milwaukee, WI. It was a top-ranked school of its type. It pioneered accelerated learning techniques to teach computer skills and grammar to low-income students, over 85% of whom got jobs because of their new skills. Prior to that, she was well known in the emerging personal computer technology sector and founded Words Unlimited with Linda Haack. It was one of the first word processing-computer services companies in Wisconsin. If you are thinking about setting up an online store and need advice, contact Karen Little for a free consultation. Should you hire Littleviews, Karen will help you organize your product line, show you how to approach display and product grouping objectives, provide photographic services for small objects, and suggest business and inventory management tools. Karen has a second website, www.Littleviews-Crafts.com, where she posts information about her interest in sugar cookies decorated with Royal Icing and sketching. Questions? Comments? Contact Karen Little at Info@Littleviews.com. Interested in staying up-to-date with Littleviews? Sign up for our newsletter. Note that the content on www.littleviews.com is the property of Littleviews, which holds the copyright or license for all text, photos, videos, and illustrations that appear on this site, except where noted. Cartoons are licensed from ClipArtOf.com. Contact Littleviews at at Info@Littleviews.com for permission to reproduce anything.